The 2nd Annual Renewable Energy Buyers Summit is an invitation-only event where renewable energy buyers gather with their peers and industry experts in an intimate meeting setting. The Executive Forum will facilitate advanced interactive discussions about renewable energy procurement best practices with their fellow corporate buyers, as well as get valuable insights from leading renewable energy experts. The event is designed to meet the needs of both experienced buyers with larger loads and less experienced buyers with smaller loads. For each group, the event will tap into the most sophisticated thinking about the sourcing solutions available to meet their needs. It is the perfect opportunity to advance your renewable energy sourcing game plan and take your skills to the next level. Your time will be well spent! 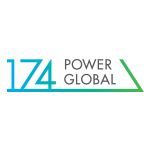 174 Power Global corporation is based in Irvine, CA an affiliate company of Hanwha Group, a FORTUNE global 500 firm and among the eight largest business enterprises in South Korea. 174 Power Global, along with our affiliated companies is focused on making solar energy competitive for a cleaner and sustainable future, benefiting all partners that are involved. Possessing knowledge and resources on all sides of the solar industry, we closely work with our partners to create success. AEP Energy, a competitive supplier of retail electricity and natural gas supply since 2002, serves nearly 430,000 residential, business, and industrial customers in six states and Washington, D.C. Beyond competitive energy services, AEP Energy partners with businesses across the United States to build smart and successful energy strategies, including behind-the-meter (BTM) services and innovative solutions to reduce energy costs and risks. We provide capital, technical expertise, and market knowledge for a diverse array of BTM systems and technologies, including solar, combined heat and power, energy storage and more. In addition, we develop, own and operate utility-scale wind and solar energy generation assets nationwide. 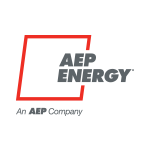 AEP Energy is a wholly owned subsidiary of AEP, one of the largest electric utilities in the United States, and is ranked 185 of the Fortune 500. 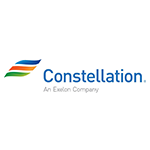 Constellation is a leading competitive retail supplier of power, natural gas and energy products and services for homes and businesses across the continental United States. Constellation’s family of retail businesses serves approximately 2 million residential, public sector and business customers, including more than two-thirds of the Fortune 100. 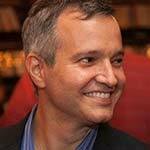 Baltimore-based Constellation is a subsidiary of Exelon Corporation (NYSE: EXC), the nation’s leading competitive energy provider, with 2017 revenues of approximately $33.5 billion, and more than 32,000 megawatts of owned capacity comprising one of the nation’s cleanest and lowest-cost power generation fleets. Learn more at www.constellation.com or on Twitter at @ConstellationEG. 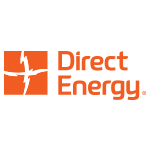 Direct Energy is one of North America’s largest energy and energy-related services providers with nearly five million residential and commercial customers. 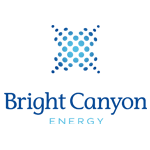 Direct Energy provides customers with choice and support in managing their energy costs through a portfolio of innovative products and services. 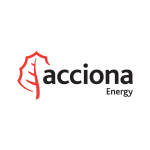 A subsidiary of Centrica plc (LSE: CNA), one of the world’s leading integrated energy companies, Direct Energy operates in 50 U.S. states plus the District of Columbia and 4 provinces in Canada. 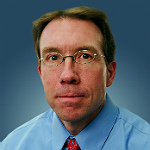 To learn more about Direct Energy, please visit www.directenergy.com. Edison Energy, an independent advisory and services company, recognizes that energy is the largest unaddressed risk faced by most companies, and can exceed foreign currency, interest rate and other operational risks. With our with proprietary, advanced analytic capabilities, we create a competitive advantage for global market leaders by quantifying this risk and designing the portfolio solution to protect shareholder value threatened by complex energy policies, technological advancements and new products. 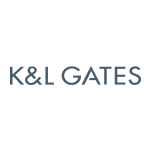 This includes providing comprehensive renewable energy advisory and procurement services to its clients, featuring a proprietary market access platform where over 500 developers with more than 5,000 renewable energy projects compete for their clients’ business. 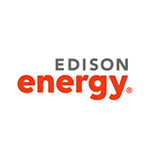 For more information about Edison Energy visit www.edisonenergy.com. 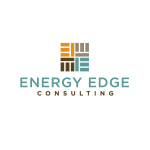 Energy Edge Consulting provides customized energy solutions for large commercial, industrial and institutional organizations. 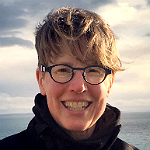 Energy Edge provides a full range of services relating to renewable energy strategy development, procurement, energy risk management services, demand response initiatives and ongoing support services. 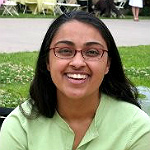 Energy Edge has supported a variety of organizations in developing and implementing a sustainable energy strategy. This includes evaluating various renewable generation projects, procuring renewable and low carbon power, negotiating PPAs and ensuring these are properly integrated into retail and wholesale power supply arrangements. solar assets, wind generation, geothermal production, virtual PPAs and back up generation assets. 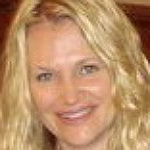 Energy Edge has locations in California, Texas, Arizona and the United Kingdom. 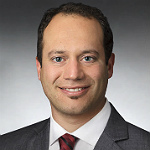 ENGIE North America manages a range of energy businesses in the United States and Canada, including clean power generation, cogeneration, and energy storage; retail energy sales; and comprehensive services to help customers run their facilities more efficiently and optimize energy and other resource use and expense. Nearly 100 percent of the company’s power generation portfolio is low carbon or renewable. 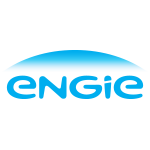 Globally, ENGIE is the largest independent power producer and energy efficiency services provider in the world, with operations in 70 countries employing 150,000 people, including 1,000 researchers in 11 R&D centers. 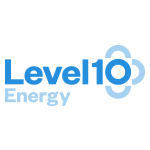 LevelTen has created the safest, most efficient and cost-effective platform for renewable energy procurement by bringing transparency, structure, and standards to a market previously dominated by cumbersome bilateral transactions, with a suite of transaction support tools that dramatically reduces deal friction. The LevelTenMarketplace is a dynamic, two-sided market that aggregates both PPA buyers and sellers, allowing the parties to connect and transact in a vastly more efficient manner. 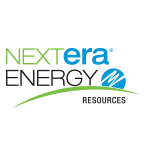 Contact us to learn more about how strategic renewable PPAs can accelerate your energy goals. 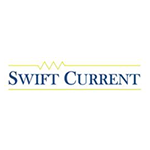 Swift Current Energy is a clean energy focused development and investment firm. Swift Current Energy has over a gigawatt of utility scale wind, solar, and energy storage power projects in development across North America. 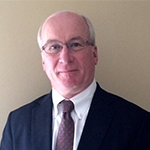 Industry veterans with over 80 years of combined renewable experience with core skills in development management, PPA origination and project finance founded Swift Current Energy in 2016. Swift Current Energy is headquartered in Boston, Massachusetts with offices in Illinois, Maine, Montana, New York and Texas. The NYTimes recently published the article titled, “Losing Earth” which is about “the decade we almost stopped climate change”, followed by 30 years of inaction (1). “Winning Earth” is our response to the NYTimes Article about “what HAS changed” in the last 30 years. Wind and solar energy is cheaper to produce then traditional sources of energy. We now have “cheap renewables!” (2) . But, the zero-footprint-label is even better, it is not just marketing to Millennials: Let’s further connect the dots; If renewables are cheaper and, zero-footprint products are made with 100% renewables, then these products should actually be cheaper than their competitors making the purchase of a ZEP the smarter consumer choice: The zero-footprint label tells consumers 2 things; “I am a carbon free, zero emission product (for Millennials)”,and, “I am a cheaper product (for everyone!)”. This is marketing not just for Millennials, but for everybody! 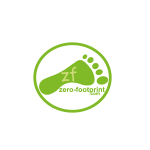 The zero-footprint label – a fantastic marketing opportunity! 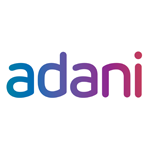 Since 1988, Adani Group, one of India’s leading business houses with revenue of about $11 billion, has transformed into a global integrated infrastructure player in core industry verticals — resources, logistics and energy. 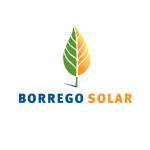 Borrego Solar is a leading solar and energy storage company providing comprehensive development, design, construction, financing, and maintenance services. We provide the highest-value solar and energy storage projects at any scale, from onsite PPAs to greenfield community solar development. 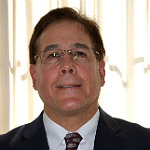 As renewable energy developers, our job is to maximize the value of client resources whether we are helping a business, public entity or landowner. We do this by sharing our own most valuable resource: the insights we have gained through thousands of successful commercial solar projects over the last 40 years. With more than 450 MW installed, Borrego is within the top 3 commercial solar companies nationally in terms of market share. 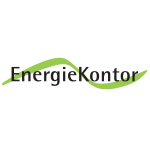 The company’s mission is to solve the world’s energy problems by accelerating the adoption of renewable energy. For more information, visit www.borregosolar.com. 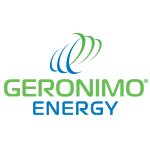 Bright Canyon Energy (BCE) is a developer and long-term owner of electric energy infrastructure headquartered in Phoenix, Arizona. 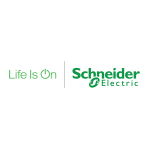 We deliver safe, reliable, and affordable energy solutions for the benefit of our customers and the communities in which we operate. BCE is a wholly-owned subsidiary of Pinnacle West Capital Corporation (PNW), a publicly-traded energy holding company (NYSE: PNW). 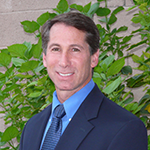 PNW’s principal subsidiary, and sister company to BCE, is Arizona Public Service Company (APS), the largest electric utility in the State of Arizona. With APS’s 130+ years of expertise and PNW’s financial strength, BCE combines innovative thinking, sound business principles and an entrepreneurial spirit to execute projects in the competitive marketplace. 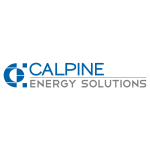 Headquartered in San Diego, California, Calpine Energy Solutions, LLC is part of a Fortune 500 company and one of the largest Electric Service Providers in the U.S., operating in every competitive electricity market in the country to supply competitively priced energy and services to retail electricity consumers. Our CCA team has been providing Data Management and Call Center Services for CCAs since 2010 and is comprised of 50 full-time employees performing the critical, highly specialized, operations work that supports every CCA operating in California. We have helped launch all 9 CCAs, managing over a hundred startup activities per CCA, and implemented 20+ additional mass enrollment phases. We are now servicing over 1.2 million CCA customers across the state today. 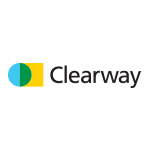 Clēnera is an industry leader in the supply of clean, low-cost solar energy to North American utilities. Starting with development and acquisition of early stage projects, Clēnera efficiently builds and manages utility-scale solar facilities. 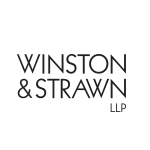 The company is vertically integrated, with the necessary environmental, permitting, construction, and operations management capabilities. Clēnera relies on the deep solar expertise of its executive team and staff to identify the industry’s best projects and then manage those same projects from pre-construction acquisition through construction and into commercial operations. 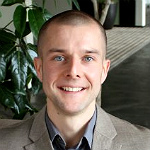 The result is fast, flexible, low-cost and high-quality execution on every project. 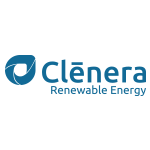 Since July 2013, Clēnera has successfully developed and acquired over 920 MW DC of investment grade solar projects. By the end of 2017, the company is on-target to have constructed over 630 MW DC of utility-scale solar. With a powerful blend of solar development proficiency and all-equity financing, Clēnera manages every contracted project to quick and efficient completion. 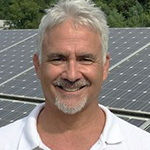 juwi Inc., based in Boulder, Colorado, was founded in 2008 and develops, designs, engineers, constructs, and operates utility-scale solar generation facilities. 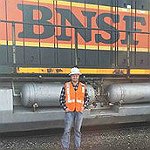 juwi executes projects throughout the United States, with facilities built in fourteen states. juwi has completed more than 420 MW of projects through PPAs and engineering, procurement and construction contracts with counterparties including private corporations, U.S. public power utilities and investor-owned utilities. 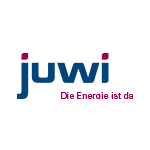 juwi is a private corporation and is owned by juwi AG, a German-based leader in renewable energy. 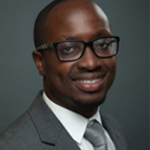 juwi offers a wealth of experience and expertise as a global market leader in the utility-scale solar industry. juwi AG’s solar group has constructed more than 2,200 solar photovoltaic installations globally, totaling over 3.0 GW of installed capacity. At juwi, we take pride in our ability to work diligently on projects that are on time and on budget and which satisfy all clients. Longroad Energy (“Longroad”) is a renewable energy developer focused on the development and operation of wind and solar energy projects throughout North America. 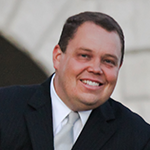 Longroad was founded in 2016 by renewable energy veterans and former executives of First Wind Energy. The core Longroad team began working together over a decade ago, and has successfully developed 35 utility-scale wind and solar projects across the United States totaling approximately 3,800 MW. Today, Longroad has a development pipeline greater than 7 GW and over 500 MW under construction, including the largest solar project in Texas. Longroad is also an industry leader in operating and managing operating wind and solar projects. The Longroad Energy Services (“LES”) team is comprised of experienced Operations & Maintenance and Asset Management professionals. LES staffs a 24×7 Remote Operations Center to continuously monitor, troubleshoot and proactively oversee the 1,236 MW of operating wind and solar projects currently under LES management. 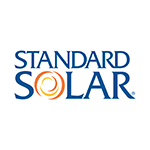 Standard Solar, Inc. is a leader in the full-service development, construction, integration, financing and installation of solar electric systems. 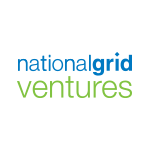 Urban Grid specializes in the turnkey development and finance of solar photovoltaic projects (500kW to 5MW) throughout the United States. Urban Grid’s 20-25 year Power Purchase Agreements (PPAs) are designed to generate consistent operating performance and predictable economic benefit for our clients. 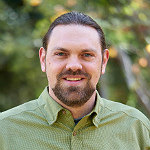 The Urban Grid team brings together seasoned finance and construction professionals to provide the highest quality solar installation and offer the best financial solution for commercial, educational, government and non-profit organizations. First Solar is a leading global manufacturer and provider of comprehensive photovoltaic (PV) solar systems using advanced thin film module and system technology. Our business model emphasizes flexibility to suit each customer’s unique needs. 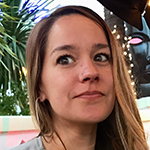 The First Solar team is positioned to offer direct module sales or serve in supporting roles ranging from project and program design to acting as a vertically integrated project development and asset management partner. 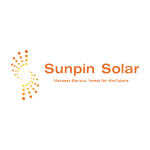 Through determined innovation and a focus on large-scale development, we deliver solar energy that is an economically attractive alternative to fossil fuel-sourced electricity. With more than 17GW of modules sold, First Solar has a demonstrated history of financial stability and manufacturing success. As a project partner, we bring extensive expertise into how today’s PV power plants are developed, financed, designed, constructed and operated to maximize profitability for our customers and strategic partners.